The beloved XBLA and PSN game, Castle Crashers is being remastered for current generation systems with Castle Crashers Remastered. This confirms rumors we have been hearing for a little while now and it will be exciting to be able to relive the 2D beat-em-up action once more. CCR runs at 60 frames per second. The original ran at 30 frames per second which feels kind of like a slideshow if you go back to it after trying this new one. You’ll also notice that the PS4 version utilizes the Dualshock 4’s light bar, changing color depending on which character you play as. The Behemoth also discusses game preservation and noted that they wanted players to continue to be able to experience Castle Crashers, even a decade after its original release. Interestingly, the team notes that a sequel is not out of the question, but prefaces that it “has to be a product that would end up vastly improved, rather than ‘more of the same. '” From their point of view, they like experimenting with different types of games to keep things fresh. The Behemoth ended the blog post stating that they are working on a new game, code-named “Game 5” for now and says they’ll have more to talk about later this year. 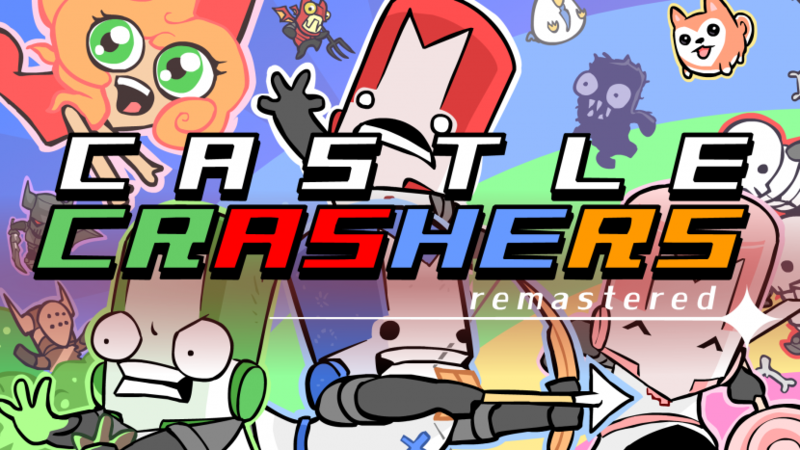 Castle Crashers Remastered will launch on PS4 later this summer. Have you played Castle Crashers? Will you be jumping into the remastered version? Let us know!